At the end of the term in Ghana, Prickett and 14 other students wanted to return the favor of generous hospitality for their guide, Charles Abakah. Abakah welcomed the students into his home and showed them around his community of Amonfro. The students wanted to know what Amonfro’s greatest need was. The guide showed them many parts of the community including the primary school. It was a lean-to with no real protection from the elements, so if it was rainy or too hot the kids could not attend class. This meant that they were not getting their educational needs met for a large percentage of the year. The Ghanaian students’ enthusiasm for learning and the Linfield students’ desire to help them have a safe and reliable school building led to a project to rebuild the local primary school. The value of the U.S. dollar goes alot further in Ghana than in the states, and the Linfield students felt that they could raise enough money. They headed back to Oregon with motivation to complete the project. Back in the states, Prickett was elected student body president. Each year, Linfield College students select a charity to receive the proceeds from their fundraising efforts. As president, Prickett decided that this charity would be the Amonfro School. “Usually they chose large charities like the Red Cross, which is just a drop in the bucket and we wanted to make a bigger impact,” says Prickett. They raised half of the money needed by the time he graduated. After graduation, he went back to Ghana to teach a 4th grade class and kept working on the plans for the new school. He continued funding these improvements by sending Ghanaian baskets home to his parents, which they sold at their church. The Amonfro Primary School was completed in 2007 and ended up costing about $22,000. Prickett read Three Cups of Tea around that time–a memoir about Greg Mortenson’s work building several schools in the middle east–and felt inspired to do more. So he set up a 501c3 and started planning the next project. A trip to Big Milly’s Backyard, a beach hang out in Ghana, proved fruitful. Prickett met David Ash, who said he started a nonprofit to build and renovate schools. “That’s what I do!” exclaimed Prickett. Ash’s nonprofit, Building for a Future Generation (BFG), was based out of Ghana and they didn’t have a funding source. Seth had worked in the political world back in the U.S. so he knew how to have a fundraiser. Prickett founded Framework International and partnered with BFG. BFG watches over what happens on the ground while Framework International raises funds. Each year in September, Framework International holds a garden party to raise funds for the new and existing school projects. Framework International is now serving about 1700 students and has built a total of four schools. Last year, the nonprofit focused on maintenance by repairing and renovating the original school. They replaced the roof and added a veranda which kept the classrooms cooler and gave the students a shaded place to sit outside. In 2008 Prickett moved into our NE Portland neighborhood. Wanting to own a bar, he was intrigued when a mutual friend, Nathaniel Applefield, connected him to the owner of the Waypost. Michael Newman had owned the bar since 2006 and started talking to Prickett in 2010 about becoming a co-owner. In 2016, Newman had owned The Waypost for 10 years and was ready for a change so he brought in Brenton Iverson. Iverson is now the co-owner with Prickett and handles all the day to day operations. “Funny enough, it was through Nathaniel that the Brenton connection was made. We joke that Nathaniel is the Waypost angel that’s always watching over and making sure the right people need to meet,” says Prickett, laughing. The bar has been through many transformations. The area where the bands perform originally belonged to another business, and the back area where the picnic tables are used to be a church. The venue is also ADA accessible. 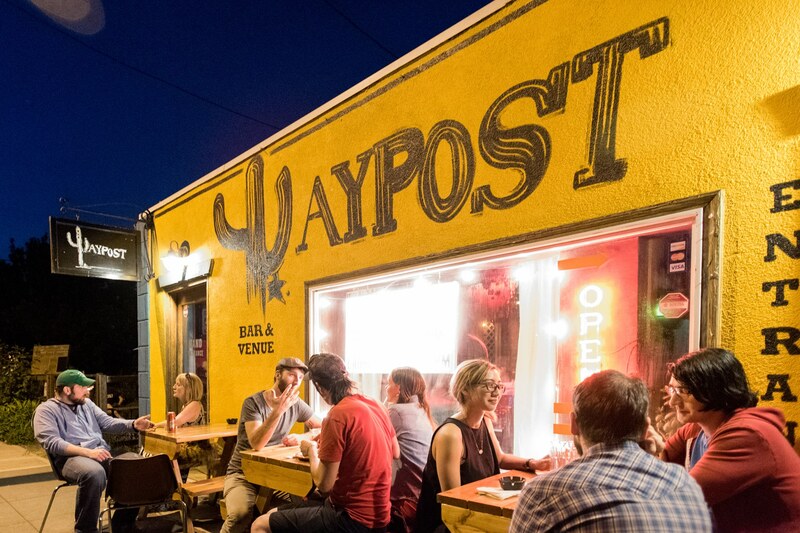 Besides weekly trivia, discounted tacos on Tuesdays and Whiskey Wednesday, music is a big part of The Waypost. Michael Newman used to procure the bands that played at the Waypost but now one of the managers, Brian Bennett, sources the music. If a band wants to perform at the bar, they can fill out the form on the Waypost’s website. Prickett has enjoyed owning The Waypost and says that the main goal is pushing to create a welcoming and relaxing atmosphere where locals can come by and see their friends. The Waypost only takes up a small percentage of Prickett’s time. Most of his time now is spent on real estate. Prickett had been purchasing properties and flipping them. He decided to get his real estate license about 18 months ago so he could write his own contracts. Helping friends with real estate purchases is another benefit to the license. Prickett’s life is very busy and has lots of variety, but he still misses the political environmental policy work. To add to his other charitable ventures, Prickett gives 10% of his real estate earnings to three non-profits, Framework International, L’Arche Portland, and Oregon Wild, which adds another layer of motivation and helps to fulfill his philanthropic goals. 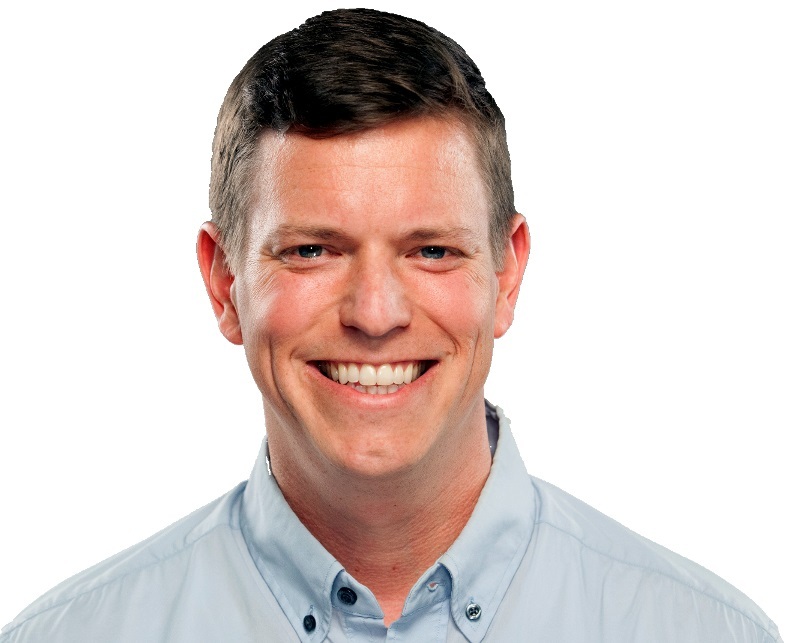 Seth Prickett is a business owner in our Eliot neighborhood that we can be proud of. He is very supportive of the neighborhood association by being a consistent advertiser; has established a place where residents can hang out, see good music and enjoy delicious food and beverages; and helps residents become homeowners while also helping students in Ghana become educated so they can fulfill their dreams.